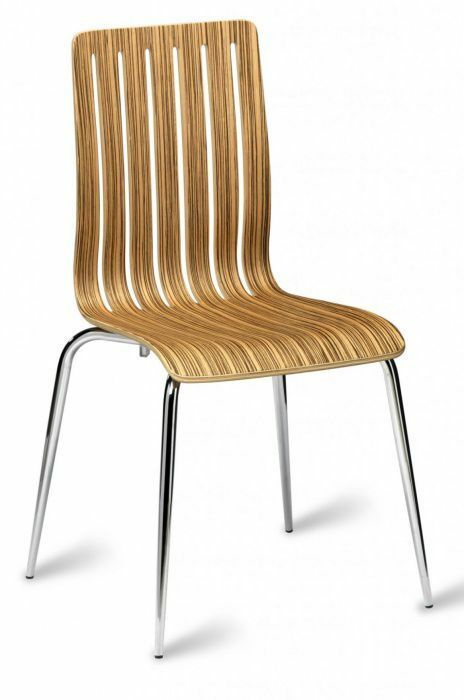 Sharp and sleek in design perfect for themed cafes and bistro bars. Finished in a fantastic Zebra veneer ans supported by Chrome legs. Manufactured to a very high specification. Café chair with a modern Zebrano seat and chrome legs. Suitable for commercial cafes and bars and held in stock for a rapid delivery.